When Apple started extending the previews of songs that were longer than 2 minutes and 30 seconds back in 2010, licensing was a big factor in reason that not all songs received the updated 90 second previews at the same time. Now, Apple appears to be reducing some of those previews to just 30 seconds, no matter the length of the song, across both the desktop and mobile versions of the iTunes Store. While not all songs have had their previews slashed, it is indeed happening to some of the more popular tracks on the iTunes Store. Popular albums such as Coldplay’s whole discography now has the shorter 30 second previews instead of the 90 second clips that were previously on offer. What’s more, it seems that the change is a relatively recent one, with some users suggesting that some tracks made the switch in preview length within the last 24 hours. Apple made quite the song and dance about the move to the new 90 second clips a few years ago, but is unsurprisingly keeping quiet about the switch back. With Apple staying quiet, the reason for the change is unknown, but the smart money is on some sort of licensing hiccup. With music listeners already moving away from online purchases and towards streaming services like Spotify and Rdio, Apple may have had to make concessions for a music industry that has long wanted more than its pound of flesh. After all, if it’s not a licensing issue, what could it be? With the focus on iOS devices, Macs and apps, the music side of Apple’s business has been somewhat neglected over the last few years. 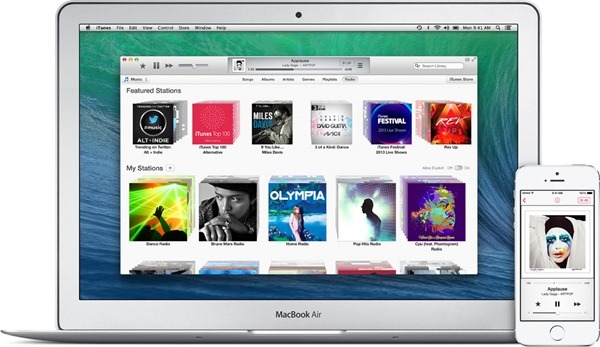 After years of iPods selling hand over fist, the lineup is stale and as a result, the iTunes Store is also in need of some love. The reduction of preview time may be a byproduct of that, or simply part of a larger move that we don’t see yet. As tends to be the case with these things, time will tell in the end. It is also worth noting that Apple recently purchased Beats Electronics for a cool tune of $3 billion. It might be the case that Apple wants to push its resources to the newly acquired company / service.